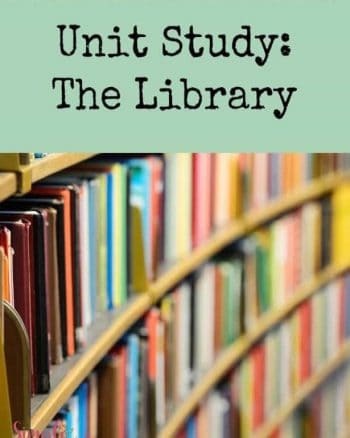 Live gets busy when you are trying to work, homeschool, and life all at the same time. I've been looking at planners and am totally geeking over the different planner stickers that you can get. You can scrapbook your planner! 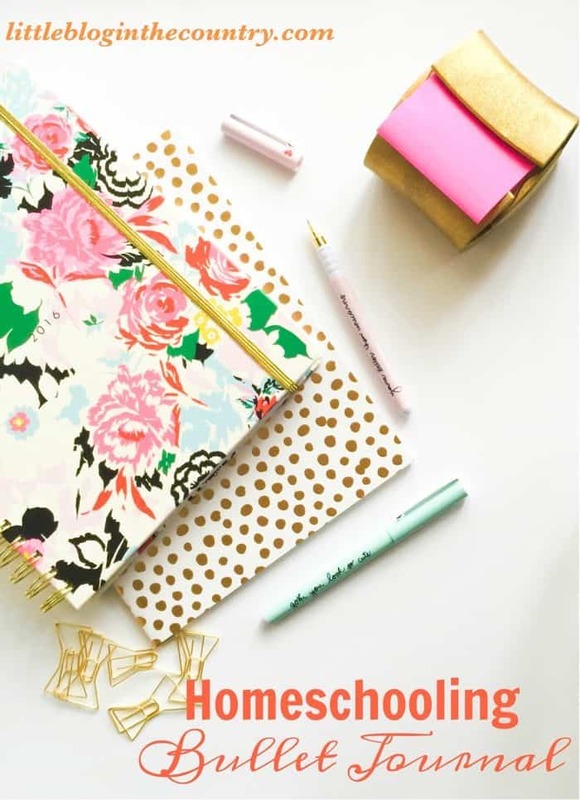 But, for Homeschooling I wanted something a little different and that's where our Homeschooling Bullet Journal comes in. There are many ways you can start a bullet journal. I have seen countless layouts and inspiration on Pinterest and Instagram, and it’s even flooding over to Facebook! 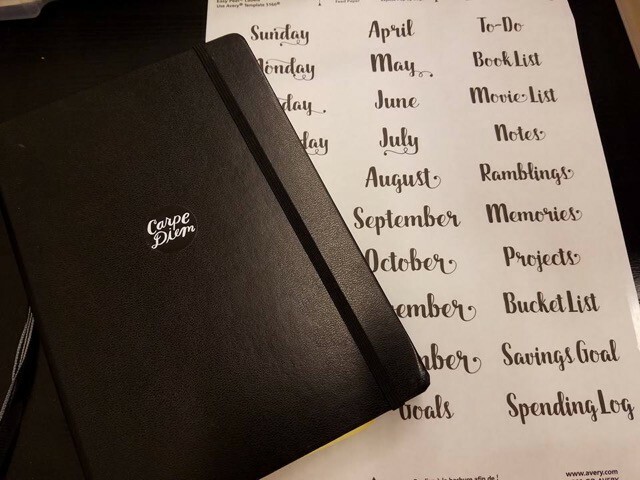 I just wanted to take a few moments to show you how our homeschool bullet journal is coming along, how we use it, and hopefully inspire you to start your own! I’ve also included activities (field trips), goals, grades, etc. 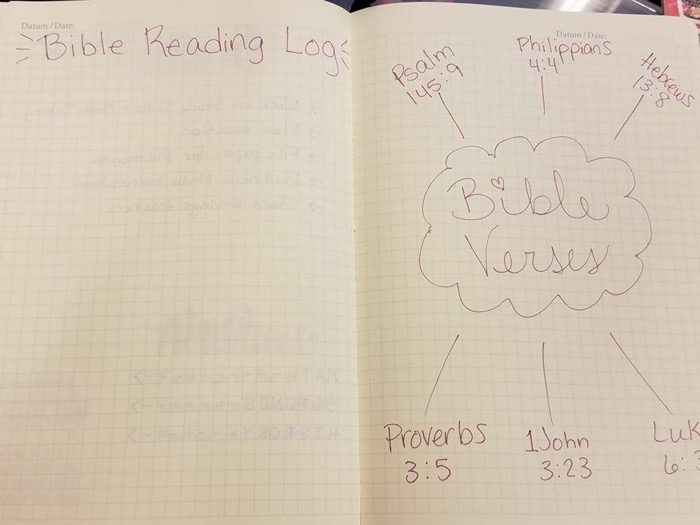 On the left side of the spread is the Bible Reading Log, where we can track daily Bible reading. On the right side of the spread, I’ve listed some Bible verses we can look up together and practice/memorize. We put a “yes” sticker next to each one as it’s memorized. We have a list of movies for school (documentaries), and then for fun, too! Most of the movies on the list are actually for me. They’re about school, education, and homeschooling. The movies on the other side are for fun, like Finding Dory and Nine Lives. On the other page, we have a Book List. Or, what will be a book list. We haven’t started this one yet! I have a 1 or 2 page spread for each unit study that I’m planning. Usually, I just start with a little brainstorming bubble like you can see in this spread above. Sometimes, I’ll make a list and go into more detail. It depends on how much legwork I have to put into the unit study. Has someone else already done one on the same book? If so, I can follow their framework and edit it to where it’s perfect for our homeschooling plan. 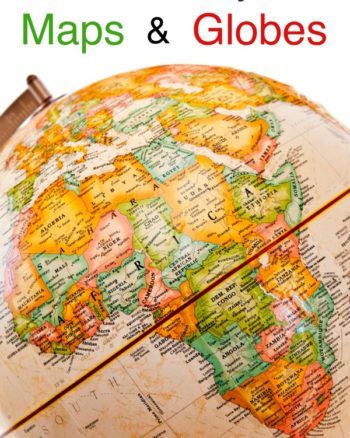 If not, it takes some extra time to think of all of the activities and lesson plans. We also have our calendar in the bullet journal, to keep track of appointments and anything else going on in our lives. Many bullet journalers use dailies, weeklies, and monthlies to keep track of various tasks and to do lists. 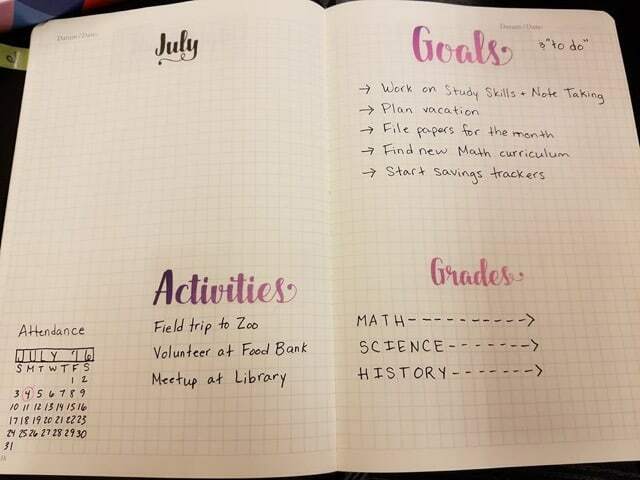 Habit trackers are also very popular with bullet journalers. You can track any habits! From how much water you drink every day, to how many miles you walk. I’ve found lots of inspiration on Instagram. 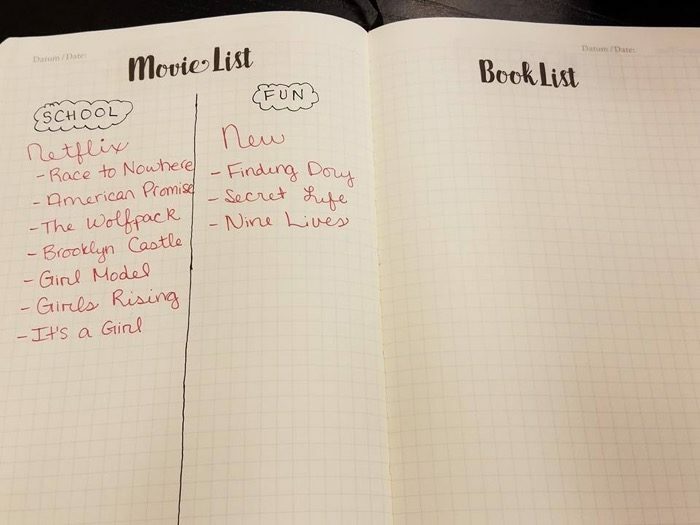 The possibilities for bullet journaling truly are endless and I would love to see what you all come up with! 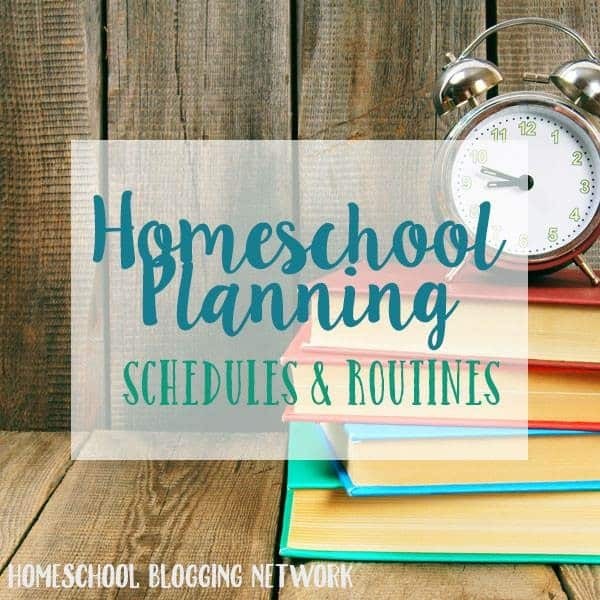 If your looking for more ways to get organized in your homeschool, check out the posts below. This is such a cool way to keep track of your homeschool year. I have honestly never heard of doing it this way. Thanks for sharing! Very cool! I’d always heard the term but never seen one in action. I like it! I love it now that I’ve tried it! I’m a planner hoarder so I have a million different ones. I do like the Bujo style the best. I absolutely love this! 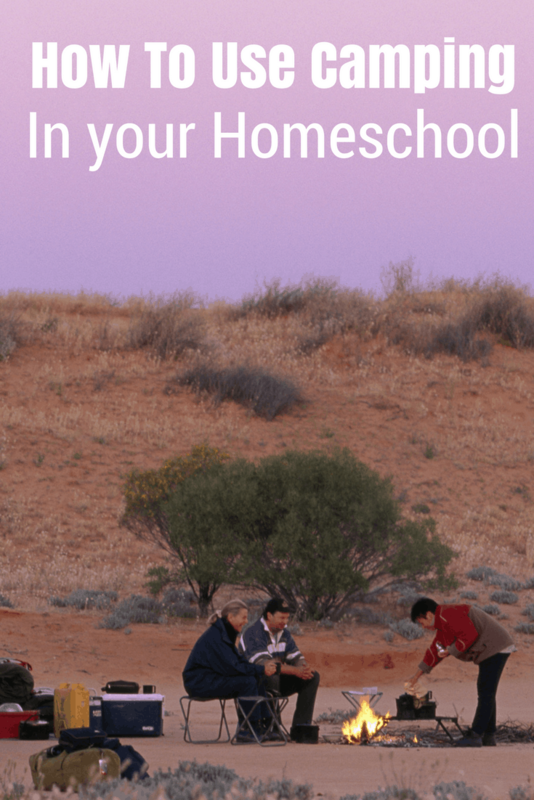 I’m researching various homeschooling curriculum and planning, so this is really cool! Thanks for linking up on our #BuJoMojo linky!